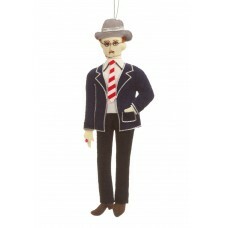 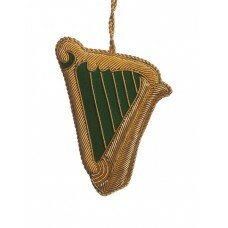 Our James Joyce (1882-1941) ornament represents the author of Ulysses in charming detail making him ..
A beautiful representation of the traditional Irish Harp. 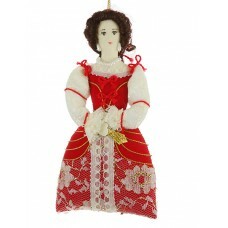 This intricate embroidery on this decorati.. 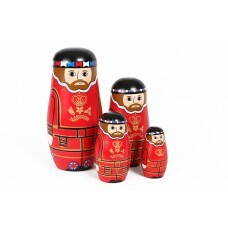 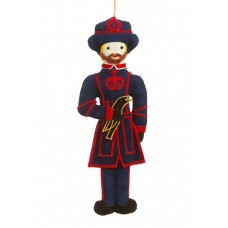 These unique wooden Beefeater Stacking Dolls merge a traditionally Russian craft with English histor..
Sir Winston Leonard Spencer-Churchill was the British Prime Minister during World War II. 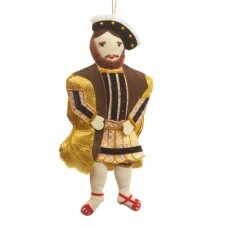 He was nev.. 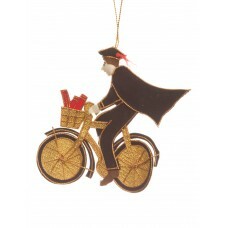 Famous the world over for his romantic poetry and lyrics, the Scottish Bard is shown here holding a ..
Darting around Cambridge on their old-fashioned bicycles these handmade Cambdrige Dons make unique C.. 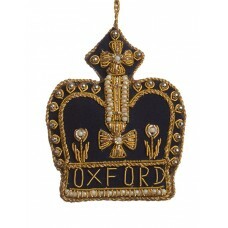 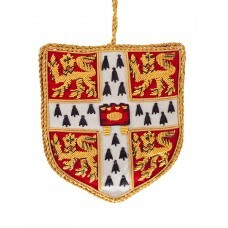 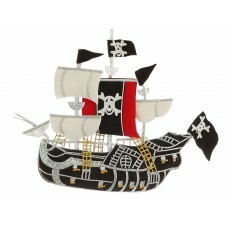 The most infamous of looting vessels, the Jolly Roger Pirate Ship Christmas decorations is fully han..
Famed for her beauty, wit and elegance, Lord Nelson's famous mistress is shown holding a quilll and ..
A fantastically ornate decoration featuring Cambridge University's Coat of Arms (granted in 1573). 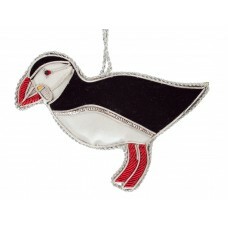 ..
With their large orange beaks and black and white markings this hand-made Puffin decoration has icy ..
America's most famous of monuments, Lady Liberty is the ultimate icon of freedom and welcome. 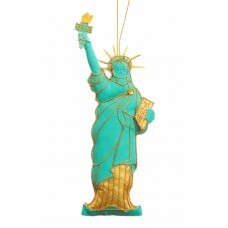 She wa.. 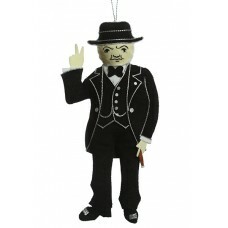 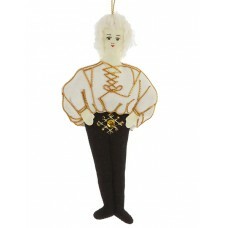 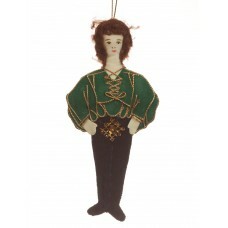 If you are looking for Irish themed decorations for Christmas then you must not miss our Irish Dance..
No Pearly King can be without his Pearly Queen, so why not buy both for a Christmas with a quirky tw.. 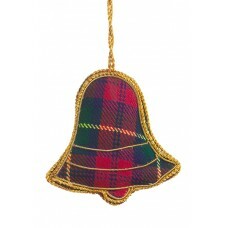 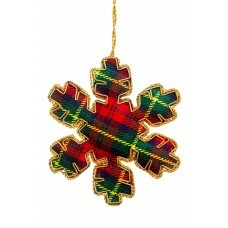 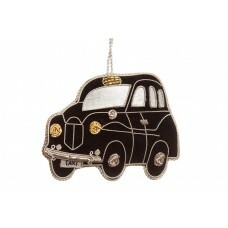 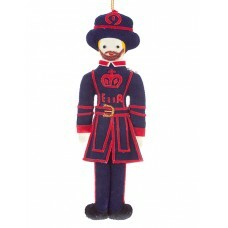 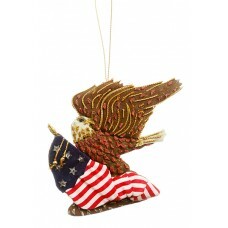 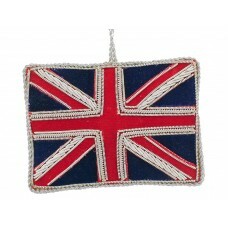 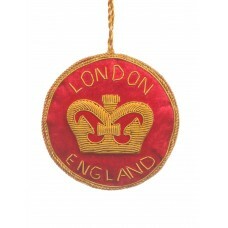 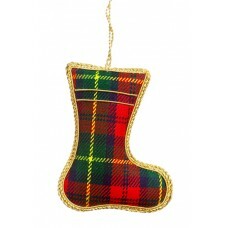 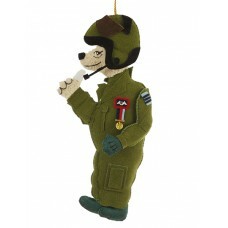 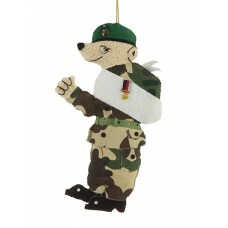 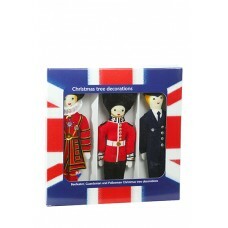 This boxed set of Christmas decorations includes our three best-selling London icons. 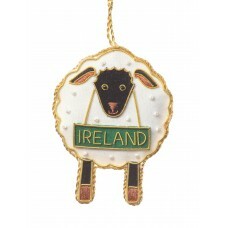 They will loo..
Our handmade Irish Father Christmas decoration proudly wears the green of the Emerald Isle in place ..
Sheep are a common sight in Ireland and this sheep is as proud as punch to be Irish!.. 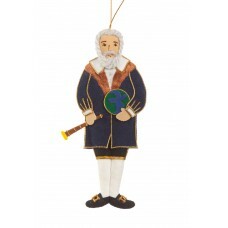 Italian astronomer, mathematist and physicist Galileo Galilei defended the sun's central position in..
Long term mistress of Charles II, Nell Gwyn shown here as a handmade Christmas decoration in a beaut..
Our sparkly version of the traditional London taxi ornament features shiny silver tissue and metal t.. 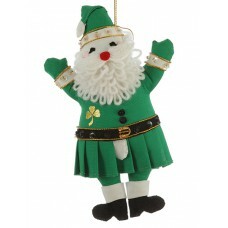 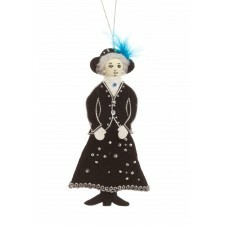 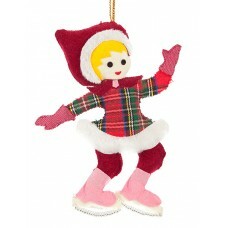 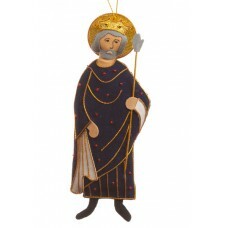 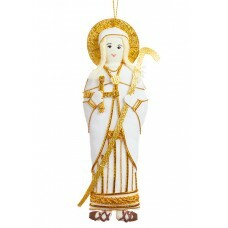 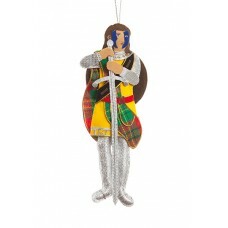 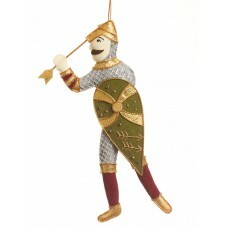 Complete your collection of Irish-themed ornaments, with St Brigid of Kildare, one of Ireland's fema.. 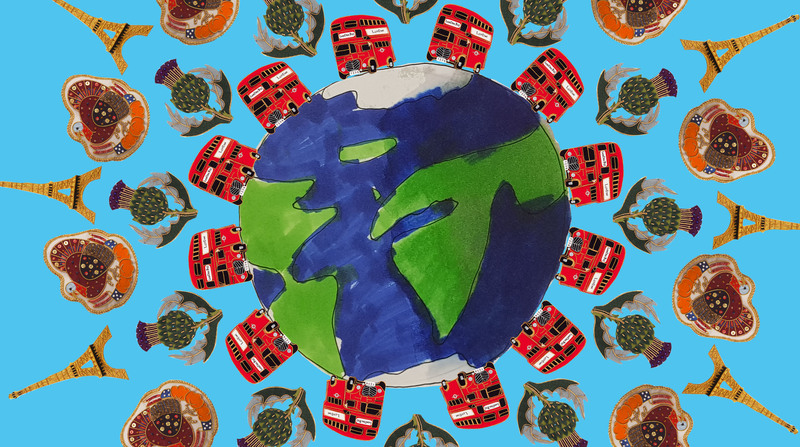 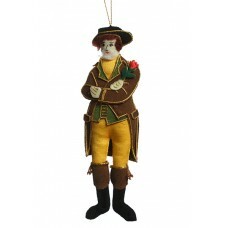 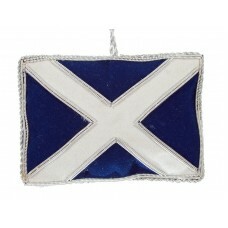 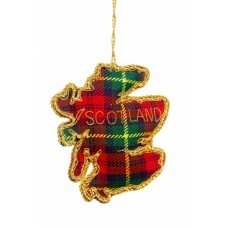 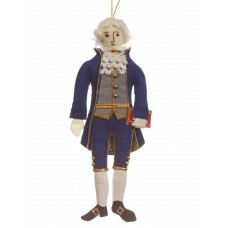 Complete your collection of historical ornaments with Adam Smith, the Scottish philosopher and econo.. 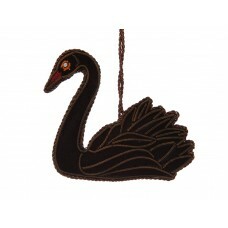 This graceful hand-embroidered black velvet Swan Christmas decoration will add an elegant touch to y.. 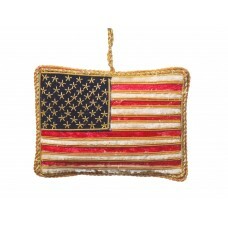 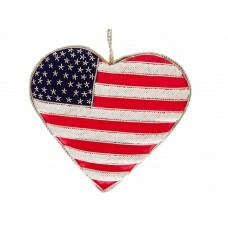 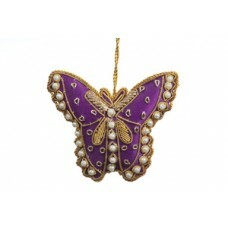 In delightful purple satin, this hand-embroidered butterfly decoration is perfect for your tree or t..
Splendidly hand-embroidered with gold metal threads, our Star Spangled Banner with GOD BLESS AMERICA.. 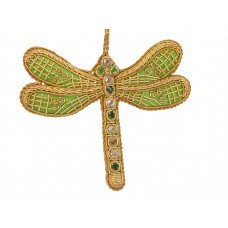 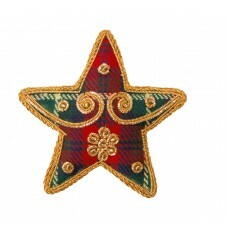 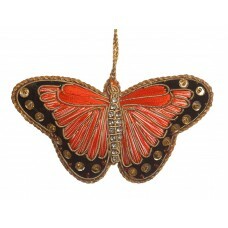 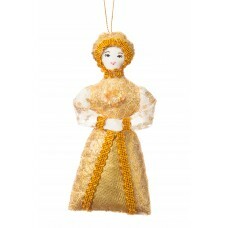 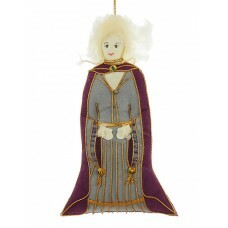 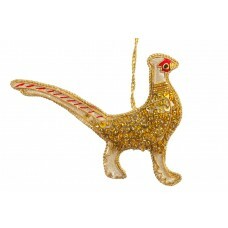 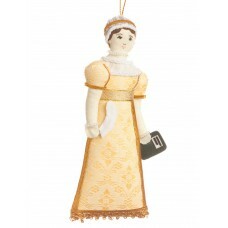 Dressed all in gold, this handmade Christmas decoration is inspired by Anne of Cleves, the fourth wi..